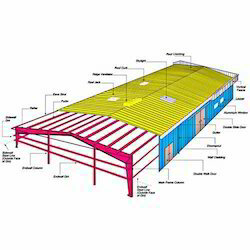 We are a leading Manufacturer of pre engineered buildings from Hyderabad, India. We are dedicatedly engaged in manufacturing, supplying and trading Pre Engineered Buildings. Fabricated using high quality material, these buildings are in compliance with international quality standards. Our range comprises house design and production facilities, and is highly demanded in the market owing to its superior quality.